Doris Margaret Kenyon (September 5, 1897 – September 1, 1979) was an American actress of motion pictures and television. She grew up in Syracuse, New York, where her family had a home at 1805 Harrison Street. 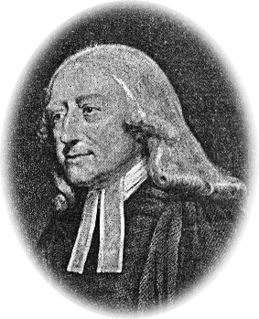 Her father, Dr. James B. Kenyon, was a Methodist Episcopal Church minister at University Church. Kenyon studied at Packer College Institute and later at Columbia University. She sang in the choirs of Grace Presbyterian and Bushwick Methodist Churches in Brooklyn, New York. The Methodist Episcopal Church (MEC) was the oldest and largest Methodist denomination in the United States from its founding in 1784 until 1939. It was also the first religious denomination in the US to organize itself on a national basis. In 1939, the MEC reunited with two breakaway Methodist denominations to form the Methodist Church. In 1968, the Methodist Church merged with the Evangelical United Brethren Church to form the United Methodist Church. Victor August Herbert was an English- and German-raised American composer, cellist and conductor. Although Herbert enjoyed important careers as a cello soloist and conductor, he is best known for composing many successful operettas that premiered on Broadway from the 1890s to World War I. He was also prominent among the tin pan alley composers and was later a founder of the American Society of Composers, Authors, and Publishers (ASCAP). A prolific composer, Herbert produced two operas, a cantata, 43 operettas, incidental music to 10 plays, 31 compositions for orchestra, nine band compositions, nine cello compositions, five violin compositions with piano or orchestra, 22 piano compositions and numerous songs, choral compositions and orchestrations of works by other composers, among other music. The Princess Pat is an operetta in three acts with music by Victor Herbert and book and lyrics by Henry Blossom. After an Atlantic City, New Jersey tryout in August 1915, it premiered on Broadway on September 29, 1915 at the Cort Theatre and ran for 158 performances. Herbert wrote the piece for the soprano Eleanor Painter (1891-1947). In 1915 she made her first film, The Rack, with World Film Company of Fort Lee, New Jersey. One of the most remembered films of her early career is Monsieur Beaucaire (1924). In this production she starred opposite Rudolph Valentino. The World Film Company or World Film Corporation was an American film production and distribution company, organized in 1914 in Fort Lee, New Jersey. Fort Lee is a borough at the eastern border of Bergen County, New Jersey, United States, in the New York City Metropolitan Area, situated atop the Hudson Palisades. As of the 2010 United States Census, the borough's population was 35,345, reflecting a decline of 116 (−0.3%) from the 35,461 counted in the 2000 Census, which had in turn increased by 3,464 (+10.8%) from the 31,997 counted in the 1990 Census. The borough is the western terminus of the George Washington Bridge and is located across the Hudson River from the Manhattan borough of New York City. Named for the site of an early American Revolutionary War military encampment, it later became the birthplace of the American film industry. Monsieur Beaucaire is a 1924 American silent romantic historical drama film starring Rudolph Valentino in the title role, Bebe Daniels and Lois Wilson. Produced and directed by Sidney Olcott, the film is based on Booth Tarkington’s 1900 novel of the same name and the 1904 play of same name by Tarkington and Evelyn Greenleaf Sutherland. The Home Towners is a 1928 American comedy film directed by Bryan Foy and starring Richard Bennett, Doris Kenyon, and Robert McWade. The film had part-talking sequences in addition to the mostly silent with music and sound effects. Kenyon was cast opposite actor George Arliss in two films. These are Alexander Hamilton (1931) and Voltaire (1933). She participated in Counsellor at Law (1933) with John Barrymore. In the autumn of 1935, Doris appeared with Ramon Novarro in the play, A Royal Miscarriage, in London, England. 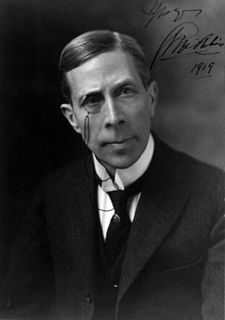 George Arliss was an English actor, author, playwright and filmmaker who found success in the United States. He was the first British actor to win an Academy Award – which he won for his performance as Victorian era British Prime Minister Benjamin Disraeli in Disraeli (1929), as well as the earliest-born actor to win the honour. Voltaire is a 1933 American pre-Code biographical film directed by John G. Adolfi and starring George Arliss as the renowned 18th-century French writer and philosopher. Kenyon's film career ended with a cameo in The Man in the Iron Mask (1939). The Man in the Iron Mask is a 1939 American film very loosely adapted from the last section of the novel The Vicomte de Bragelonne by Alexandre Dumas, père, which is itself based on the French legend of the Man in the Iron Mask. Kenyon continued her acting career in television in the 1950s. She was cast in episodes of The Secret Storm (1954), Schlitz Playhouse of Stars and 77 Sunset Strip . Kenyon was married four times. Her first husband was the actor Milton Sills. She wed Sills on October 12, 1926. She was widowed in 1930. She had one son with Sills named Kenyon. She married prosperous New York real estate broker, Arthur Hopkins, in 1933. The two divorced the following year, citing incompatibility. In 1938 Doris married Albert D. Lasker, owner of Lord & Thomas, a prosperous advertising agency. They divorced in 1939. Her final marriage was to musician Bronislaw Mlynarski in 1947. He was the son of composer Emil Młynarski and the brother-in-law of Arthur Rubinstein. Juliane "Liane" Haid was an Austrian actress who has often been referred to as Austria's first movie star. Marguerita Maria "Mady" Christians was an Austrian actress and naturalized US citizen who had a successful acting career in theatre and film in the United States until she was blacklisted during the McCarthy period. Evelyn Brent was an American film and stage actress. Viola Dana was an American film actress who was successful during the era of silent films. She appeared in over 100 films, but was unable to make the transition to sound films. Henry Arthur Barrows was an American actor who appeared in films from 1913 to 1936. Clarence G. Badger was an American film director of feature films in the 1910s, 1920s and 1930s. His films include It and Red Hair, more than a dozen features and shorts starring Will Rogers, and two features starring Raymond Griffith, Paths to Paradise and Hands Up! Florence Vidor was an American silent film actress. Alfred Edward Green was an American movie director. Green entered film in 1912 as an actor for the Selig Polyscope Company. He became an assistant to director Colin Campbell. He then started to direct two-reelers until he started features in 1917. Paulette Duval was a French dancer and actress of the silent film era and early sound motion pictures. She was born in Buenos Aires, Argentina, in 1889 and raised in France. She was considered one of the most beautiful women in Paris in the early twentieth century. Paulette was recruited by Florenz Ziegfeld for the Ziegfeld Follies, which opened at the New Amsterdam Theater in New York, New York, United States, on October 15, 1923. Before joining the Follies, the French beauty was engaged with the Scandals dance productions of George White. Helen Jerome Eddy was a motion picture actress from New York, New York. She was noted as a character actress who played genteel heroines in films such as Rebecca of Sunnybrook Farm (1917). Mary Maguire Alden was an American motion picture and stage actress. She was one of the first Broadway actresses to work in Hollywood. Niles Eugene Welch was an American performer on Broadway, and a leading man in a number of silent and early talking motion pictures from the early 1910s through the 1930s. Charlotte Ganahl Walker was a Broadway theater actress. Mary Carr was an American film actress and was married to the actor William Carr (1866–1937). She appeared in 144 films between 1915 and 1956. She was given some of filmdoms plum mother roles in silent pictures, especially Fox's 1920 Over the Hill to the Poorhouse which was a great success. She was interred in Calvary Cemetery. Carr bore a strong resemblance to Lucy Beaumont, another famous character actress of the time who specialized in mother roles. As older actresses such as Mary Maurice and Anna Townsend passed on, Carr, still in her forties, seem to inherit all the granny roles in silent films. Harry Todd was an American actor. He appeared in 391 films between 1909 and 1935. He died in Glendale, California, from a heart attack at the age of 71. He was married to actress Margaret Joslin. Frank Stanmore was an English film actor. He appeared in 76 films between 1914 and 1938. He was born in London and died in Gravesend, Kent. Ossi Oswalda, born Oswalda Stäglich in Niederschönhausen, was a German actress, who mostly appeared in silent films. She was given the nickname 'The German Mary Pickford' due to her popularity at the time. Henry Edwards was an English actor and film director. He appeared in 81 films between 1915 and 1952. He also directed 67 films between 1915 and 1937. Edwards was married to actress Chrissie White, who co-starred in a number of his films. He was born in Weston-super-Mare, Somerset and died in Chobham, Surrey. ↑ Gooley, Lawrence P. (July 19, 2010). "Doris Kenyon: Ausable Forks Movie Star -". The Adirondack Almanack. 1 2 3 4 Slide, Anthony (2010). "Doris Kenyon". Silent Players: A Biographical and Autobiographical Study of 100 Silent Film Actors and Actresses. University Press of Kentucky. ISBN 9780813127088 . Retrieved 14 January 2019. ↑ Jones, Isabel Morse (January 10, 1932). "Actress Turns to Song for Completion of Self". The Los Angeles Times. California, Los Angeles. p. Part III, p 15. Retrieved 14 January 2019– via Newspapers.com. ↑ "Doris Kenyon Recital Opens Artists Series For Phoenix". Arizona Republic. Arizona, Phoenix. November 15, 1936. p. 26. Retrieved 14 January 2019– via Newspapers.com. 1 2 "Doris Kenyon to Be Heard in Recital Here". The Winnepeg Tribune. Canada, Winnepeg, Manitoba. November 11, 1933. p. 15. Retrieved 15 January 2019– via Newspapers.com. ↑ "You Asked for Them" (PDF). Movie and Radio Guide. 9 (21): 11. March 2, 1940. Archived from the original (PDF) on January 19, 2015. Retrieved 19 January 2015. ↑ Braun, Eric (2010). Doris Day. Orion Publishing Group. ISBN 9781409105695. "Doris Kenyon Sills Dies, Known On and Off Screen". Los Angeles Times. 1979-09-10. p. B18. "Doris Kenyon and Hopkins To Be Married". Syracuse Herald. April 15, 1933. p. 2. "Will Play In England". Syracuse Herald. June 27, 1935. p. 14. Wikimedia Commons has media related to Doris Kenyon .